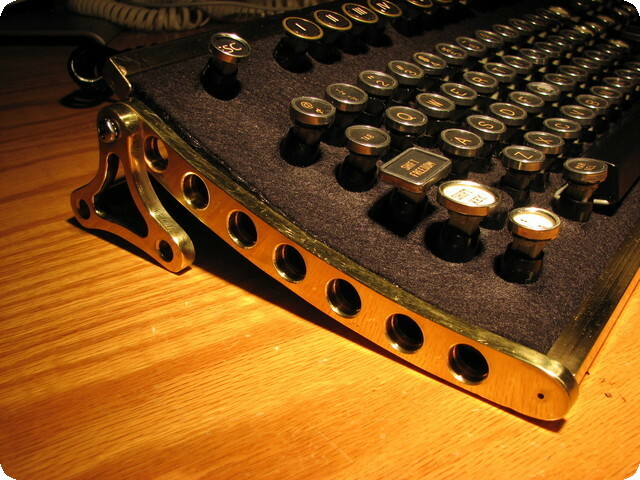 When you combine Victorian aesthetic principles with modern sensibilities and technologies, you get something called Steampunk. It may have sprung out of a subgenre of fantasy and speculative fiction which came into prominence in the 1980s and early 1990s, but it is now spreading into the creation of items which evoke curious emotional responses on the part of viewers. 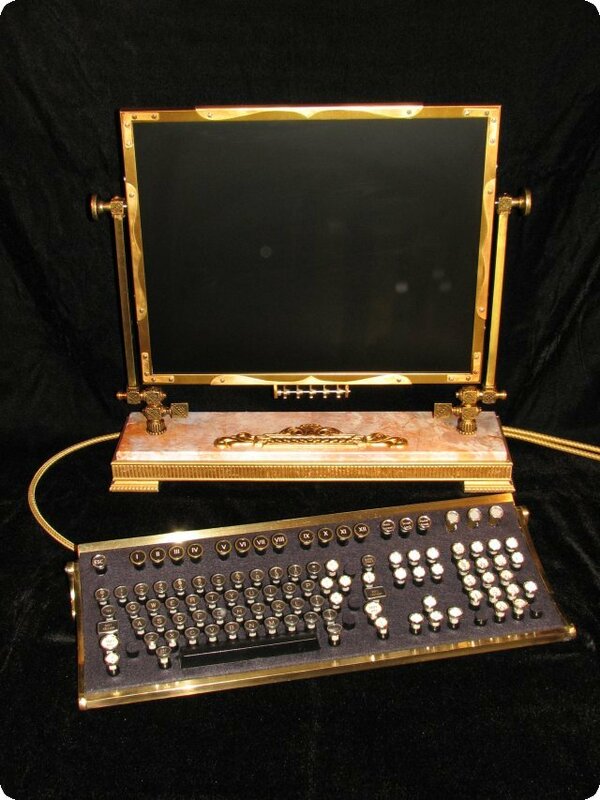 When I look at this working computer with its classic typewriter keys and its brass framed monitor on a marble stand, it conjures up images of an alternate universe where steam still rules in happy juxtaposition with the descendants of Charles Babbage’s Difference Engine. The intricate detail and the polished brass make a striking and somehow very natural example of a product of an alternate historical era. This is the creation of Hieronymus Isambard "Jake" von Slatt who is the proprieter of the Steampunk Workshop. 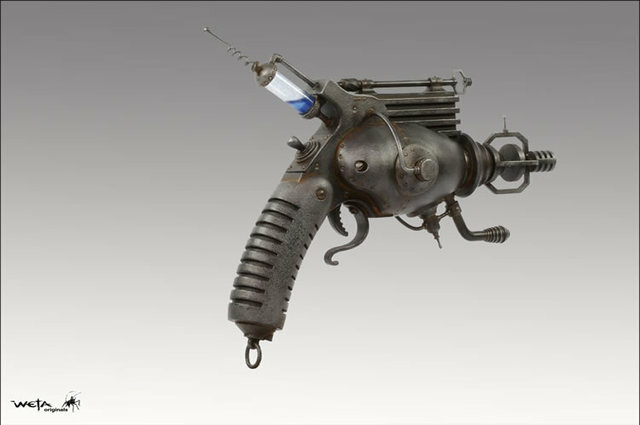 On the other hand, Weta Workshop in New Zealand is delving into their collective unconscious and is producing rayguns. 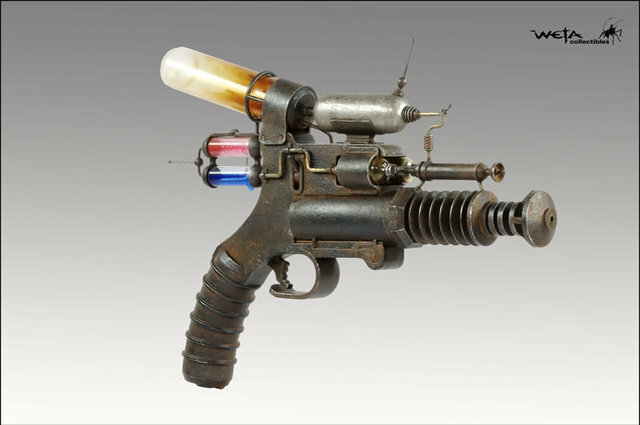 Dr. Grordbort’s Infallible Aether Oscillators, is a line of antique-styled sci-fi hand weapons, conceived by Greg Broadmore and meticulously built by Master Model Maker David Tremont. One look at these age-encrusted, Phlogiston-powered beauties and I am transported to the days of Flash Gordon and the early days of Astounding Science Fiction when I was first exposed to the mind-expanding possibilities of speculative science fiction. I have often felt that our travel through time is the result of a series of cumulative decisions. What we experience now might have been very different if certain decisions had not been made or made differently. its powers from, a free people. from which there may be no returning. world crises and real world responsibilities. For more information on the lighter side of Steampunk, visit Brass Goggles, a site devoted to all things steampunk, including steam-powered robots! This entry was posted in Alternate Realities and tagged alternate realities, Isambard "Jake" von Slatt, Steampunk, Victorian aesthetics, Weta Originals Rayguns. Bookmark the permalink.